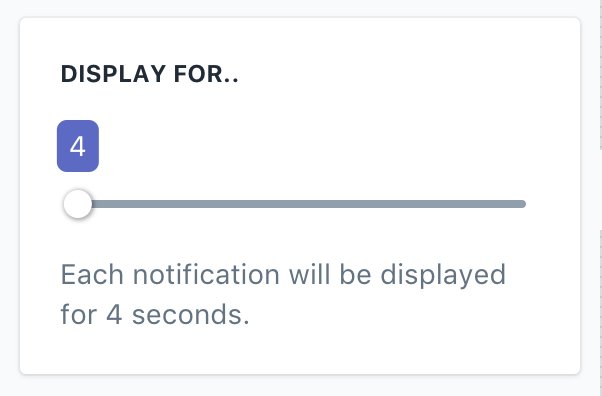 The initial delay is the number of seconds before the very first notification is displayed on a page. 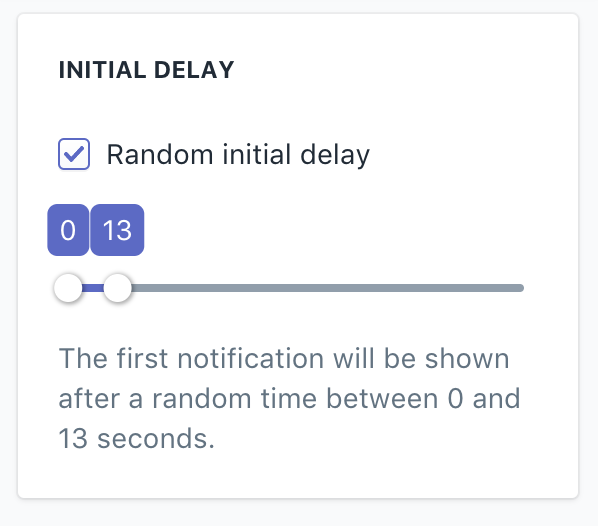 To select a fixed number of seconds, uncheck the Random initial delay and select the number of seconds. To select a random time, check the Random initial delay and select a minimum and maximum time. The time between notifications is the number of seconds between one notification closing and another opening. 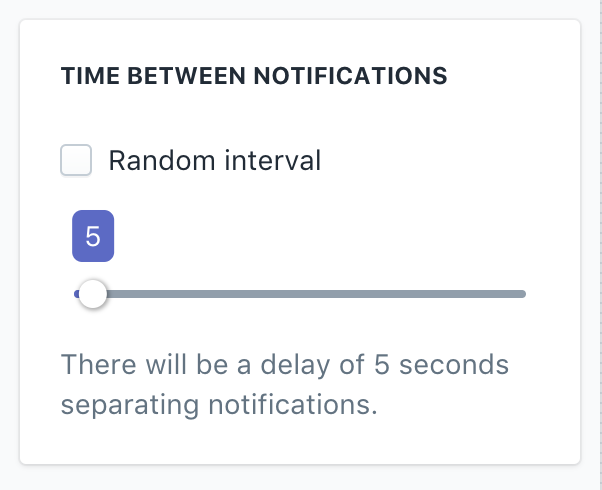 To select a fixed number of seconds, uncheck the Random interval and select the number of seconds. To select a random time, check the Random interval and select a minimum and maximum time. This settings is used to select the number of seconds that each notification is displayed for.